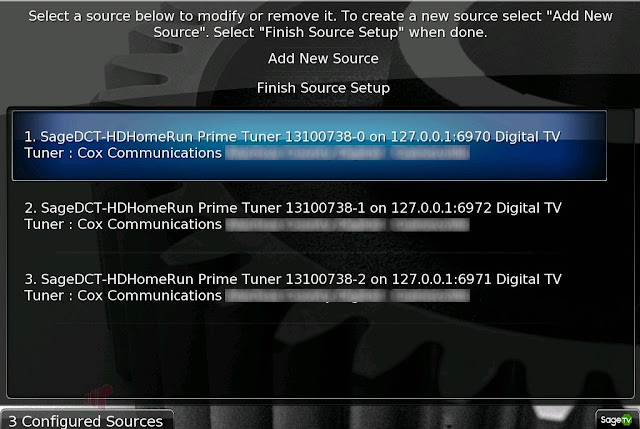 Andy (babgvant) has reviewed the Silicondust HD Homerun PRIME on missingremote.com. He notes that "Its unique capabilities including explicit network support, advanced tuner sharing and excellent form factor position the PRIME for success in the Digital Cable Tuner market." "On the PRIME’s product page SiliconDust explicitly calls out Copy-Freely support for the device in MythTV, but SageTV is understandably not listed because DCTs are not officially supported by the company and unlikely now that it is owned by Google with future development as a standalone product in question. Fortunately, they provide a way for third-parties to enable otherwise unsupported capture devices, so SageDCT was recently updated to recognize and interact with the PRIME, bringing its capabilities to the SageTV platform." So for those lucky ones with Cable Providers that have copy freely channels, this is another great alternative.